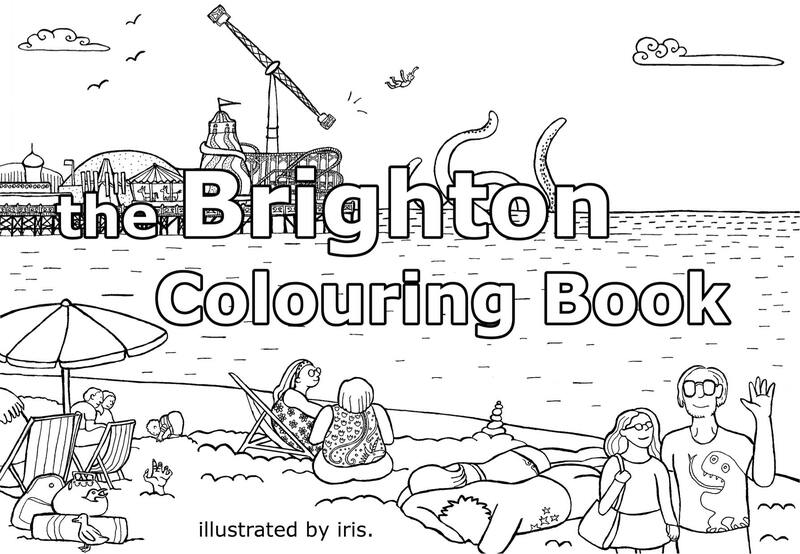 So after a somewhat frantic weekend today is my last day finishing off my colouring book! I am so excited, it’s the first thing of mine anyone outside of family/you lovely people are going to see and it’s going to the printer’s tomorrow! It’s going to be part of a little exhibition in this lovely shop right by the beach, hiding among the work of actual real artists and everything! My entire brain has turned into an exclamation mark! I’m not sure about having the cover in black and white; I thought it would be nice to be able to colour in the cover as well (since it’s not really a very big book! ), but it’s looking a bit anaemic now. Admittedly I have reached the stage where I can only see the flaws and have mentally redrawn at least three quarters of my material and don’t start about the layout of this page and-, so… But anyway, it’s just the first run, and… Book! Look! Book! How exciting! Congratulations on this wonderful accomplishment. That’s fantastic! When/where is it being exhibited? ^_^ It’s at the Brighton Fishing Quarter Gallery, from the 9th-20th of June. If you happen to be in the area you had better come visit me though! Not me sadly, but I will spread the word! Congratulations, Iris! Looks beautiful! And of course you’re a real artist! Aw bless you! And thank you!! Congrats that’s fantastic!!! You should make the front page a colouring in page too. How very cool! Coloring books are all the rage and your art is so perfect for them! Congratulations! You have rather made my day with that comment, anyway!! And I am sure I am not the only one. Just saying. Good for you for completing your coloring book, Iris. Are you selling online? I am obviously very late, but is your book still in this shop by the sea? What shop is it? If not, where can I find it? Thank you!